There may not be a more well known living biologist than Jane Goodall, and she is recognized by most people around the world. After a lot of planning, Dr. Goodall spoke to a crowed of more than 4,000 people tonight at Central Michigan University and I was lucky enough to be in attendance. 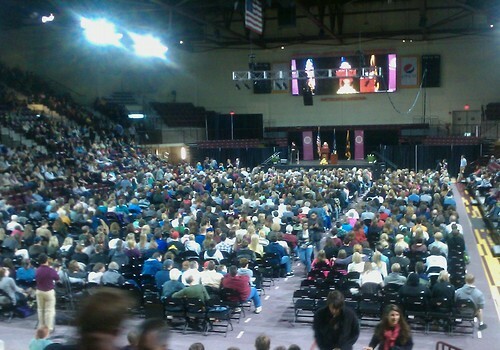 As you can see, many people from around the mid-Michigan area drove to CMU to hear her speak. She began her talk by explaining how her love for animals came at an early age and eventually blossomed into a career. Of course her most well known contribution to science was her discovery of tool making behavior in chimpanzees, which was a ground breaking to primatology. 2010 marked the 50th year of Jane's research on the complex social structure among chimpanzees and at the age of 77, she spends more than 300 days of the year traveling to promote her Roots & Shoots program. As the heart of this program is the simple sentence, "make a difference." Dr. Goodall spent the majority of her hour long talk encouraging people today to strive to make a difference, no matter how big or small. From volunteering, raising public awareness about ecological and conservation issues, to doing things like taking individual steps to live a more sustainable lifestyle. Though her message is extremely simple, the ramifications of what she has to say are important for the future of our planet. She commented that many people say we are "borrowing the future from our children," when in fact we are "stealing it from them." They way the human race treats the natural environment already has and will have sever consequences. And taking action now to come together and live by more sustainable means is necessary for well being of future generations. She also told a story about how many people used to laugh at her when she was young and told them she wanted to spend her life in the forest studying animals. And it was her mother than constantly supported her and her dreams and helped make her into the conservationist and activist she is to this day. I never though than my childhood love of wildlife and herpetofauna would bloom into a career choice, but it was through the support of my friends and family that I'm heading in that direction. 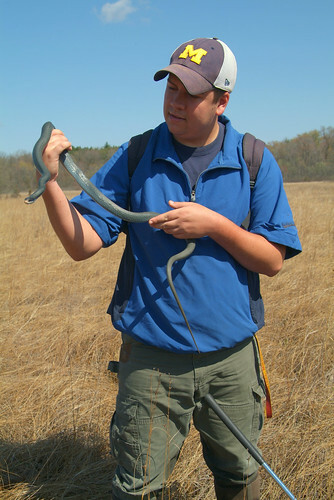 Doing something as simple as writing this blog to raise public awareness about reptile & amphibian conservation is the least I can do, and I should be doing more in the means of restoration work with organizations like the Nature Conservancy and Michigan Nature Association. If you have young kids, support them in their dreams and future endeavors and help them to become future stewards of the environment and also do your part in helping to support causes that Dr. Goodall fights for to this day. Make a difference, no matter how big or small. Things have begun to return back to normal for the month of March here in Michigan, today is is a mild 52 degrees with a stiff breeze. The week long streak of high temperatures in the 70s and 80s has gone for now, but may return early next week. Sunday was the last day of this early warming trend stuck around the state and temperatures reached the high 60s. I decided to go out with friends Chris Boguslawski and Kara Pattison to a healthy fen in hopes of turning up a few serpents. After being startled by a huge Blue Racer and not getting a hand on it, I was pleased when Kara snagged this placid individual a short time later. 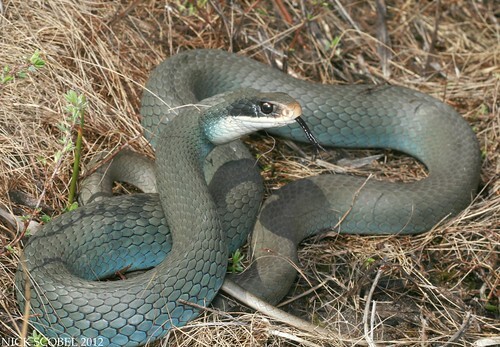 Blue Racers are always a handful as they have a particular affinity of striking right at the face. For whatever reason, this individual was beyond docile and actually tried to hide its head during the photo session. It did make for a cooperative photo subject though, instead of trying to get away as fast as possible. We parted ways and continued on. We came to an area with an excess amount of crayfish burrows and the sun had reached its highest point of the afternoon and the temperature had risen considerably. I was confident that there should be a rattlesnake in the area and less than a few minutes after I said, "we're going to find a massasauga here," I spotted this textbook individual coiled in the midday sun. 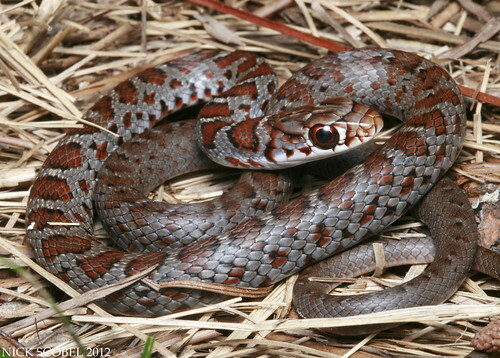 A beautiful snake indeed, I will never tire of seeing this species in the field. 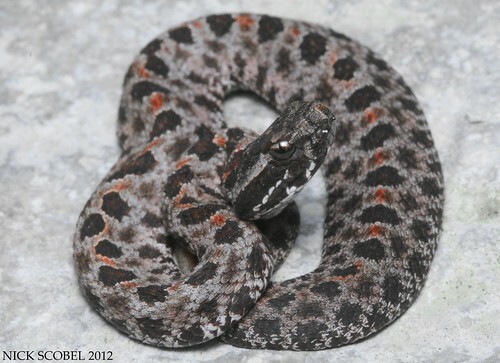 A friend from New Jersey recently told me that he thought massasaugas are the least attractive of all the rattlesnakes. C'mon, man. This big girl was particularly plump and ornery, which may indicate she is gravid. We spent a few minutes playing snake paparazzi and then parted ways. 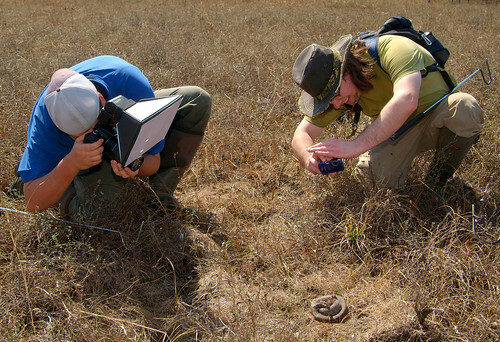 I had just put my camera gear away and joked with the group that we would find a snake in the next two minutes because I had taken the time to put away all of my equipment. Sure enough, I snagged this nasty snake just a few minutes later. If the snake we encountered earlier was on the low end of the racer spectrum, then this snake was on the extreme high end. It struck repeatedly at anything that moved including my camera bag, a hat, the camera, and us in general. It stood tall, puffed its throat out and made for a great photo subject. 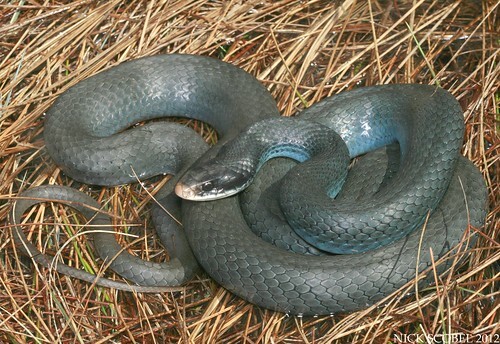 Blue racers are always an enjoyable find in the field, and I don't get to photo them too often outside of the spring because of the thickness of cover later in the season and their escape ability. As we were leaving area, I spotted a large shape moving in some shallow water and pulled this guy out for a few photos. 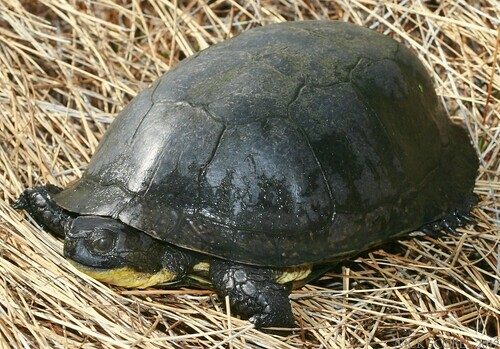 A large and very old male Blanding's Turtle, my fourteenth in the past week and a half. We didn't bother him much and parted ways to head off to another site. After arriving at our destination, we walked for awhile and eventually came to a small vernal pool where we noticed a few small turtles basking on some fallen trees within the pool. Upon closer inspection, these were very special turtles indeed. Spotties! Several others had dropped into the water before I could get a shot, but this male & female stayed up long enough for me to take this shot from a long distance. 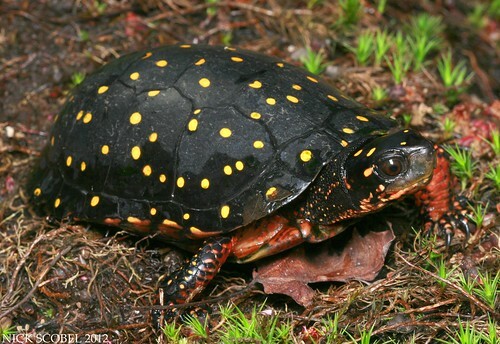 Spotted turtles require clean, shallow bodies of standing or slow-flowing water with muddy or mucky bottoms and aquatic or emergent vegetation. This makes them denizens of swamps, fens, bogs, and even vernal pools at particular times of the year, particularly in the early spring. We snuck in a little closer in hopes that the group would come back up to bask but they never did, we were fortunate enough to grab this stunning little male who decided to stick his head up too close to shore. At four inches in total length, spotties are undeniably cute. Their size and brilliant markings make them a coveted turtle in the pet trade. 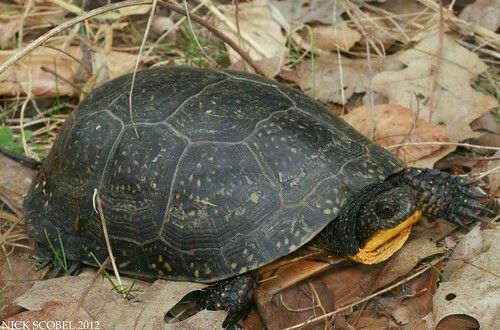 Unfortunately, this coupled with habitat loss and degradation has caused drastic declines in Spotted Turtle populations, especially in the Great Lakes region. This gorgeous little male was one of the nicest examples of the species I've ever seen, and after a brief photo session we parted ways. It was a great way to end a fun day in the field with some good friends and was certainly one of the highlights of the spring so far. La Niña has blessed Michigan with some consistent, unseasonably HOT weather this week. Early in the week, temperatures ranged form the low to high 80s and then have been in the 70s beyond that. This weather trend has of course brought out herps much earlier than usual and has even got some of them moving. 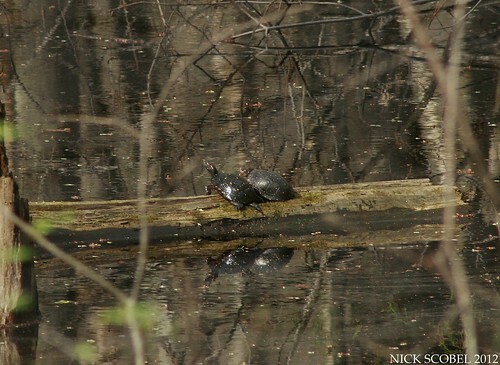 Turtles have been especially active, moving from one body of water another. Blanding's turtles have been especially active, and on Tuesday of this week I observed more than a dozen of them in a three hour span in the early afternoon not far from campus. 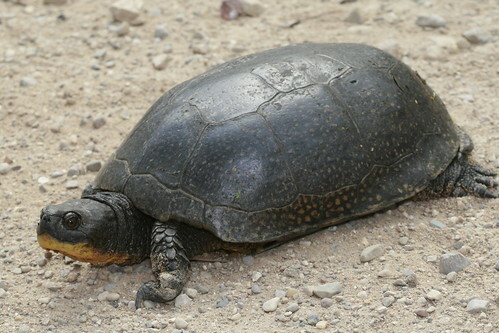 For those who don't know, the Blanding's Turtle is one of Michigan's larger and more impressive turtle species. It can be easily distinguished by its highly domed carapace, long neck, and bright yellow throat. 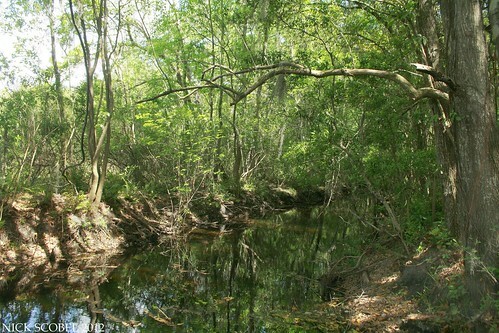 Blanding's prefer clear, shallow waters with abundant emergent vegetation. 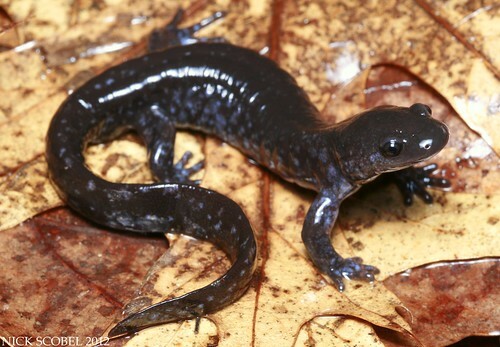 They inhabit emergent marshes, vernal pools, river backwaters, ponds, fens, and oxbows. I spotted this individual basking around noon in a shallow oxbow near a river and snapped a few shots. While taking photos, I noticed some movement out of the corner of my eye and saw this pair basking about 30 yards from this individual. This oxbow is a temporary pool and will eventually dry up over the course of the year. 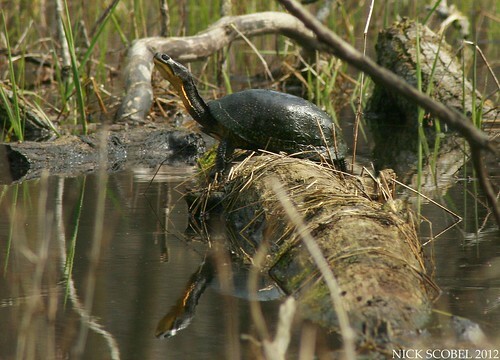 Because this species often utilizes temporary or vernal aquatic habitats, they often move over the land over the course of the year to find new refugia. This makes them extremely susceptible to road mortality as much of these corridors are often fragmented due to human development and roadways. 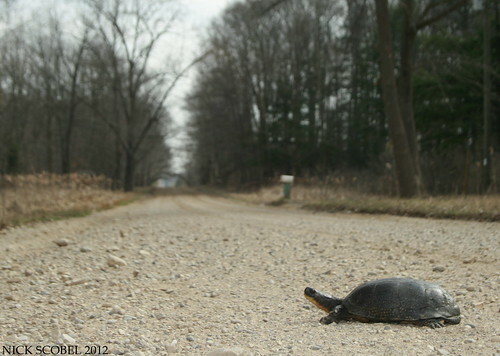 Sadly, even in a 35 mph zone these turtles get hit by ignorant motorists. 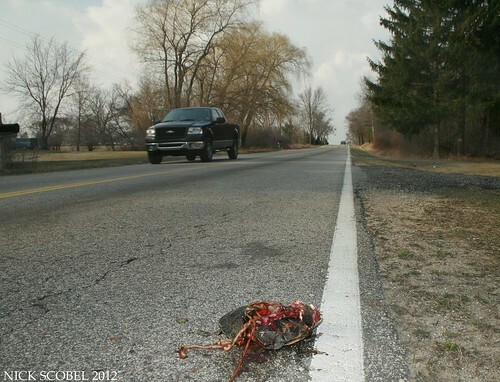 I can't really speculate as to whether or not this turtle was hit intentionally. But I've seen plenty of Blanding's crossing roads and they're very difficult to overlook in the roadway, especially in a 35 mph zone. Maybe the driver hit it intentionally or maybe they were just one of many distracted drivers who text or fiddle with other things in the car while they drive. It always gives me a sick feeling in my stomach to see a protected species hit like this, but its the reality of the current environment this species exists within. But, in some less traveled roads Blanding's have a better chance of crossing a roadway successfully. This big fella was found crossing a back country road within the vast agricultural lands of mid-Michigan from one small cattail marsh to another, which can be seen in the background of the first photo above. 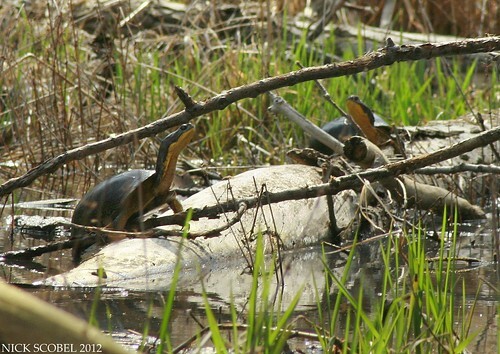 This male was extremely large and was probably the largest Blanding's Turtle I've ever seen. While I snapped a few voucher photos of him, I heard a familiar noise behind me and looked over to see this female heading towards the road as well. A relatively young individual, she was brilliantly marked and one of the nicest examples of the species I've ever seen. I snapped a few photos and then scooted her across the road in the direction she was heading. I drove several other roads and saw many others from a distance in roadside marshes and buttonbush swamps and then cruised this adult male in virtually the middle of nowhere. This turtle was crossing amid a large area of corn and soybean fields with only a hint of a wetland several hundred yards away in the direction he was heading. This goes to show that this species often makes large movements throughout the year to go from water source to water source and often leads them across roadways. With enough problems with nest predation by raccoons and loss of habitat, please be mindful that this species is on the move right now. 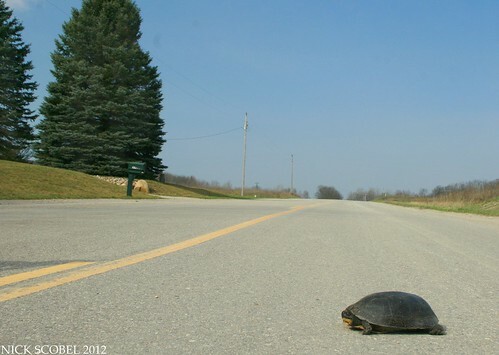 Please slow down a little bit, and help any turtles you see on roads across. Mother nature is finally loosening her icy grip on the great white north. Birds are returning, snow is all but gone, and the voices of the forest are once again being heard in Michigan. This is without a doubt my favorite time of the year in Michigan. On March 12th a system of extremely strong thunderstorms moved across the entire lower peninsula, bringing heavy rains and lightning. This was the storm I had been waiting for, and I decided to coordinate a long night of field time with good friends Jason Folt, Chris Boguslawski and his brothers. We were to follow the storms and dart around much of the southern lower peninsula in hopes of catching mass migrations of salamanders. 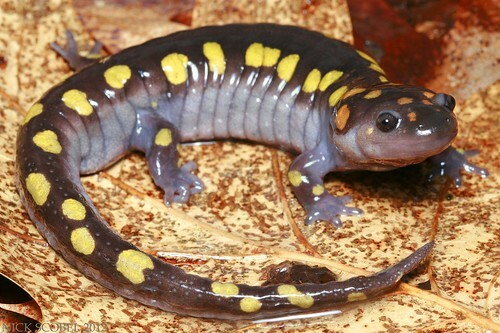 Turns out we were just in time, as I arrived at my first stop the Spotted Salamanders were on the move. This beautiful adult female was found migrating towards the breeding pool just after 9:00 PM amid light and variable rain and some rolling thunder. 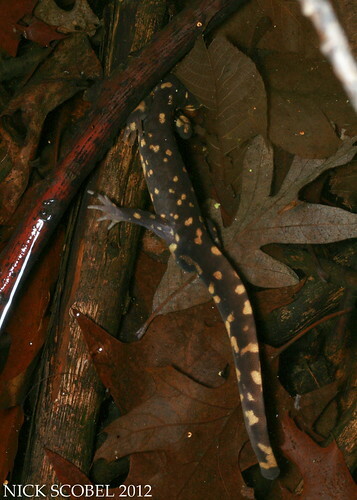 The pool was filled with spotted salamanders, probably between 150-200 individuals at best guess. We noticed several large congregating groups of males, sometimes numbering over 20 individuals that were performing the textbook "tail dance" that is characteristic of this species in hopes of impressing a nearby female. Several more females were seen migrating in towards the pool as well. As a heavy thunderstorm moved in, we drove westward through some terrential rain and hail to hit some state land and to meet up with Jason Folt. He had been out for awhile already and had already been seeing plenty of salamanders and frogs out an about. 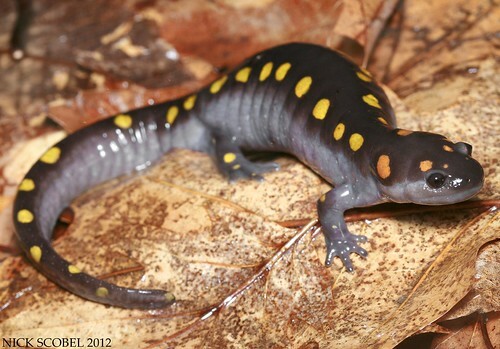 We swung down a road to a vernal pool and decided to check it out, it was good that we did as it was loaded with Eastern Tiger Salamanders and some "Blue-spotted" Salamanders. We managed to grab a few to try and shoot a few photos in the heavy rain. With some umbrellas for cover, we did our best to keep our camera rigs dry to get some photos of the Tigers, which were extremely uncooperative to nobody's surprise. After spending a good amount of time photographing the gummy lizards, we pressed on and checked a few more pools. 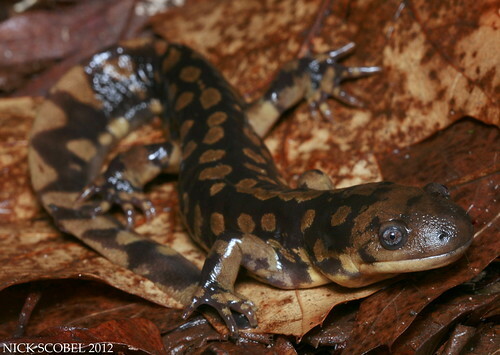 No more salamanders were seen in pools, but plenty of blue-spots and tigers were seen crossing roads. Eventually we parted ways with Folt and headed back towards our starting site. 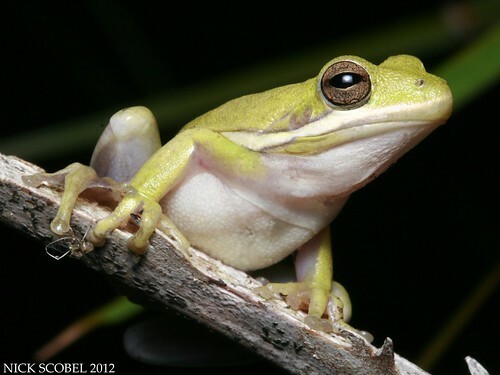 However, we did pull off at a small marsh which was alive with the sounds of several frog species. It took a good half an hour to get this photo of a calling Chorus Frog. 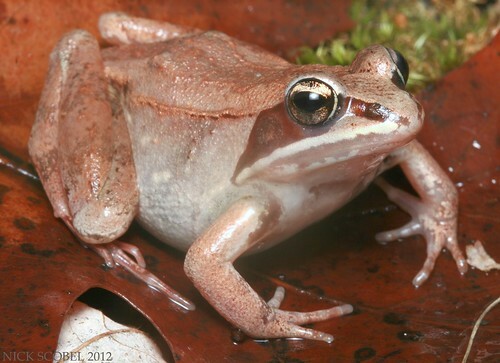 I've always referred to this species as, "the most common frog you never see." 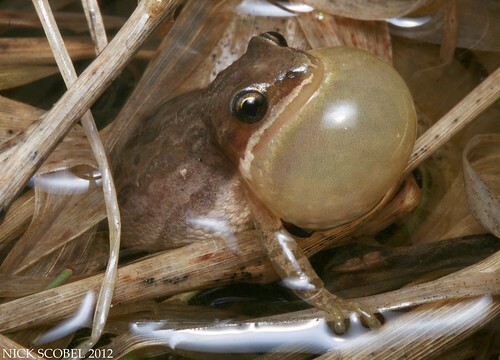 They can be heard in huge numbers in the spring, but can be very difficult to locate an individual frog as they are timid callers and are generally around an inch in length and usually call from cover. It was a great way to kick off the spring amid some wild storms, and it got things rolling for an early spring so far here in the great white north. I had some time off recently and made the annual pilgrimage to Florida for a week to visit family and friends. After a 17 hour drive through the night to avoid the severe storms and tornadoes that ravaged the Ohio valley and southeast the previous day, we arrived at our destination. It was late afternoon in central Florida and temperatures were holding in the mid 80s, so I decided to drive down a road in the Withlacoochee State Forest. The first pass was slow, but on the way back to the main road I cruised up three small pigmy rattlesnakes in a span of about fifteen minutes. Pigmies are always a fun find despite how common they are. Their variability and jumpy disposition makes them an attractive photo subject. After spending a few minutes photographing two of the snakes, I continued on to my grandparents' place to visit with them. A few days later the weather again warmed and my roommate and I headed out to central Florida's Green Swamp to try our hand at the roads in the area. 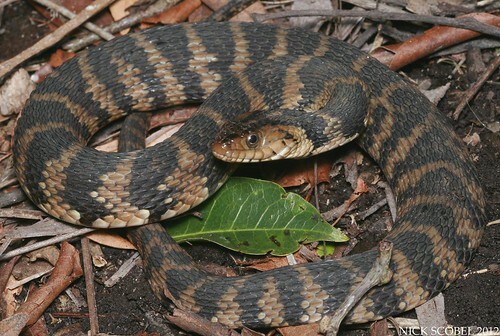 Several DOR peninsula ribbon snakes and one large DOR yellow rat were seen on the roads, it wasn't until about 5:00 PM that our first live snake was found. 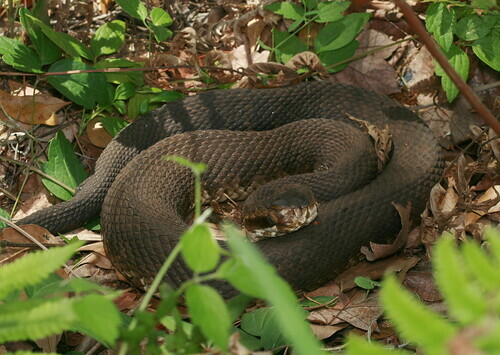 This brilliantly marked Florida Cottonmouth was coming out of a small cypress swamp and was heading towards a flooded ditch on the opposite side of the road. I'm really pleased with how effective the new Lumiquest Softbox I ordered performed on this trip, the softened light in these photos is just what I was looking for. After snapping a few photos of this snake, we were on our way. The next morning, we packed up early and jetted south to spend a few nights in the Everglades. After setting up camp we headed towards Flamingo in hopes of seeing some crocs basking in the late afternoon sun. As we were rounding a corner, we noticed a huge shape laid out in our lane ahead and drove up to see this. Python! A truly exciting find for me, this adult was in the 7-8 foot range and had been clipped by a car and was struggling to make it across the road. This was the fifth time I've been to the Everglades and the first python I've ever seen in the area. I managed to get this snake corralled and posed up for a few photos. 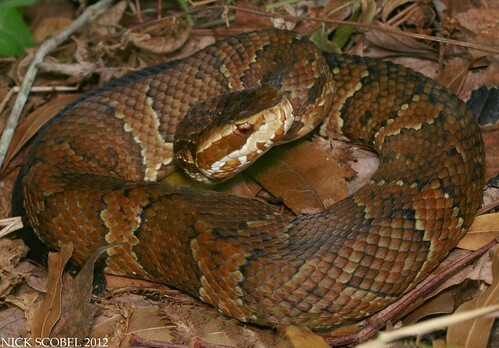 The Everglades pythons really are a gorgeous snake, unfortunately they do not belong here. 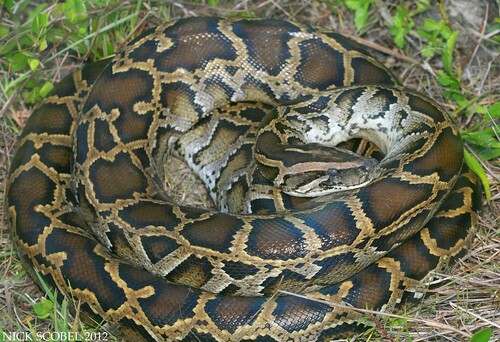 Endemic to southeast Asia, the Burmese Python was introduced to southern Florida more than a decade ago due to escapees and other released snakes. 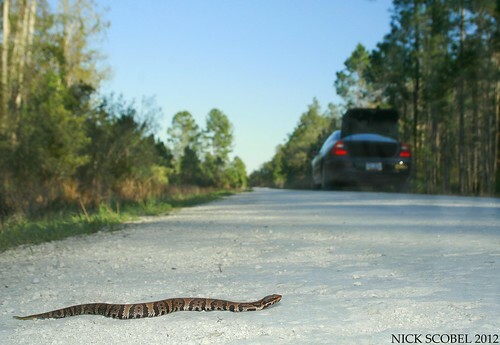 Since that time the python population in south Florida has exploded, some biologists estimate there are between 30,000-100,000 pythons in the Everglades. 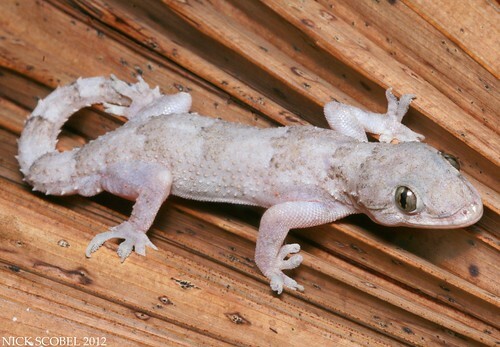 This invasive species has wreaked havoc on southern Florida ecosystems and wildlife and in turn has caused drastic declines in some mammal populations. Adults can reach in excess of 15 feet in length and can weigh over 150 pounds. A rare cold snap reduced their numbers to some degree a few years ago, but there are still a lot of them in the region. Continuing work is being conducted by the National Park Service, Florida FWC, Nature Conservancy, and U.S. 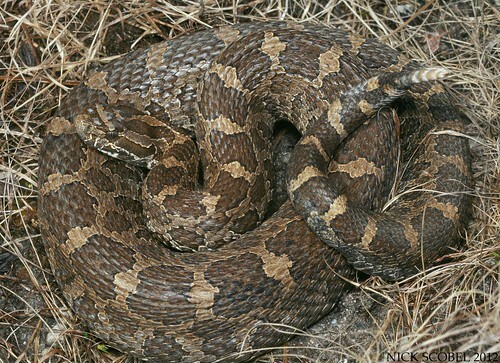 Fish & Wildlife Service to control the spread of this large constrictor. Later on that night we explored the park after dark in hopes of seeing some snakes out on the move. Things were relatively slow until we spotted a brightly colored snake crossing the road in front of us. From a distance, I thought it was a yellow rat snake but it turned out to be a very odd looking corn snake. This snake was a real treat to find as it looked like it belonged in a pet store. 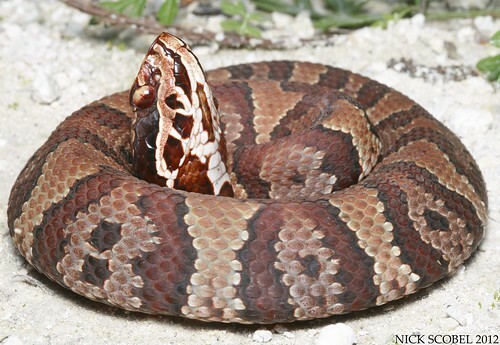 The odd look of the snake is due to a condition known as amelanism, a genetic abnormality that causes a lack of melanin (dark pigments) in an individual. 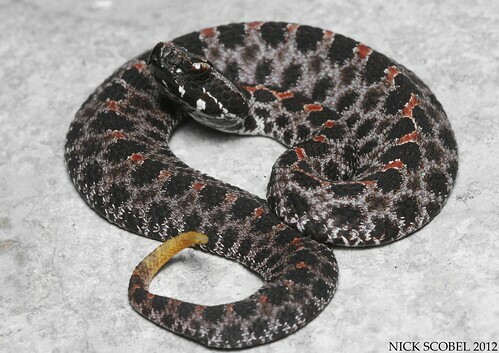 This is basically the exact opposite of melanism which causes snakes to be completely black. 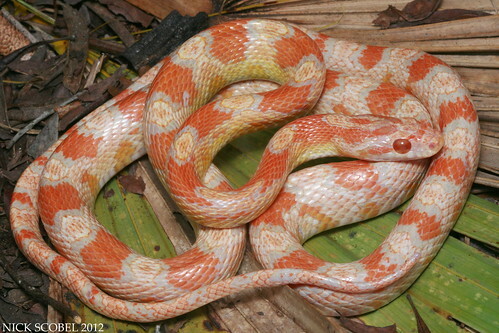 Here's a photo of a normal looking corn snake for reference. Generally snakes that are amelanistic or albino do not survive for long in the wild as they are much more conspicuous to predators. But this snake was a sub-adult (18-20 inches in length) and was found in an area where I've seen a lot of corn snakes in the past and is almost 40 miles into the national park. 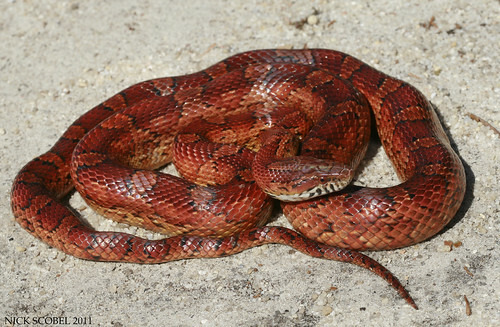 It would seem odd for a person to drive so far into the park to release a perfectly good corn snake into the wild. 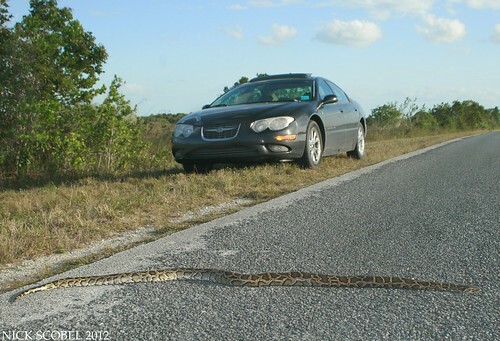 We continued on and cruised up a few more of the common inhabitants of the everglades. We also checked a few abandoned buildings after dark in hopes of finding a few snakes hanging around, but only managed a few of these guys. Later on in the night we bumped into Pierson Hill and his girlfriend Kim and chit chatted for a bit. He was kind enough to let me photograph this snake species. This species is found along the Florida coast and inhabits brackish and saltwater estuaries, salt marshes, and tidal mud flats. 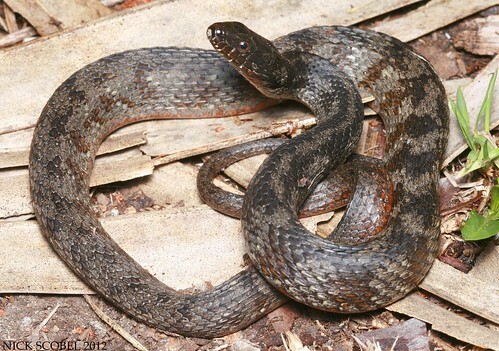 This species is known to interbreed with the Florida Water Snake (Nerodia fasciata pictiventrisdorsum, and may have a deep red ventral surface. 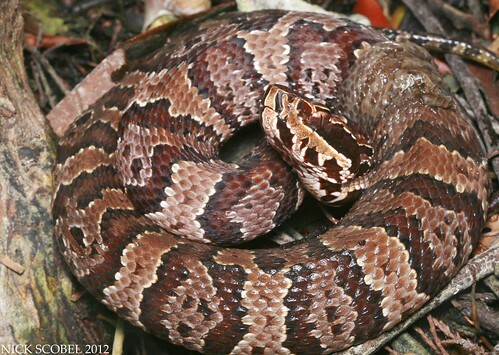 Red phase individuals are usually a orange-red in color and have almost no patterning at all. Because of all the hybridization many animals may look variable and may have characteristics of both species or look odd. The next morning I spent a little time photographing some wading birds along Anhinga Trail. 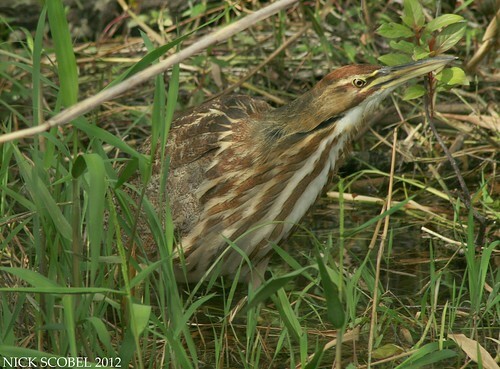 It was exciting to get to photograph this American Bittern, as it is a shy species which rarely is seen outside of heavy cover. 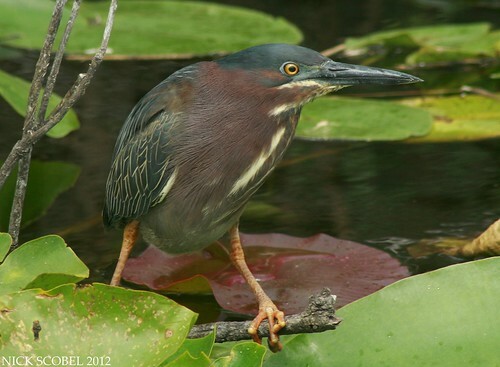 Bitterns are denizens of freshwater marshes and sloughs with tall, dense vegetation which allows them to remain well hidden because of their coloration. Their loud, booming call is very distinct but it is difficult to see one outside of the cover. This bird remained motionless and allowed for a good fifteen minute photo session before it wandered back into cover. The weather turned bad so we headed back upstate to spend a few more days in central Florida. I spent an evening cruising road in the Green Swamp and first up on the road was this sharp juvenile racer. Young racers always exhibit patterning and eventually lose it as they mature towards adulthood. 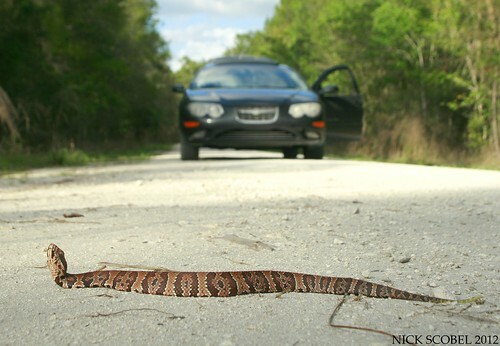 This snake was laid out on a forest road soaking up some sun. A little further up the road, I was greeted by my second snake of the afternoon near a cypress swamp. Another adult cottonmouth was seen crossing the road nearby but made a hasty exit before I could snap a photo of it on the road. The next day was spent packing up our gear and preparing for a long drive home thru the night to avoid heavy traffic in cities like Atlanta and Knoxville. So we had some time to kill during the day. I swung down to a creek in my grandparents' neighborhood that I've fished many times and have seen several Brown Water Snakes active along. While explaining old snake stories from this spot to my roommate and sister, I noticed a dark coil on the opposite creek bank and decided to go investigate. 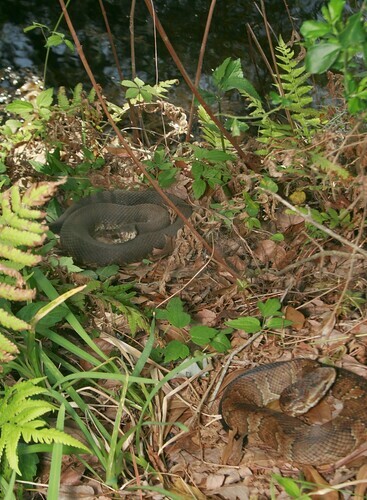 I was fairly happy when I noticed this pair basking side by side at the creek's edge. Cottonmouths have had a pretty tough run in my grandparents' neighborhood. Its a typical Florida retirement community which has several golf courses and tons of houses all situated among cypress swamps, creeks, and hammocks. 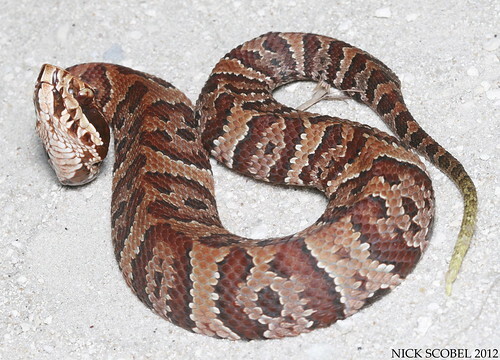 I've heard so many stories about cottonmouths being killed and how many there were, but in all the years I've visited my grandparents I had never seen one in their neighborhood. I had figured they were pretty much wiped out here due to all of the people who kill them in the area, but right in front of me were two adults. One with a severely damaged face, and the other was what could possibly be the most attractive adult moccasin I've ever seen. Although this species was the most common snake seen on our trip, these two individuals were a very special find for me. Amid twenty plus years of habitat encroachment and being relentlessly killed by residents, these two adults were right here in front of me, something I didn't thought existed in this neighborhood anymore. I guess after so many years of looking for them in my grandparents' neighborhood with no luck had convinced me they were long gone, but I suppose I shouldn't be too surprised. After all, life finds a way.